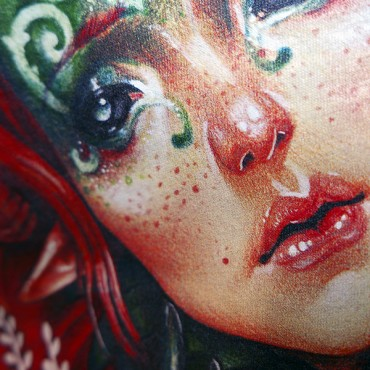 DesignByHumans Vs NeatoShop DTG Print Quality Comparison.Two of the best brands in the Pop Culture T-shirt market. I ordered these particular samples in this comparison myself but both have sent in products for review. As a disclaimer I will state that I am an affiliate of both DesignByHumans and NeatoShop. Both pay the same rate. I have no grudges against either brand and I am quite fond of both for their services, products and said affiliate programs. This is a Print Quality Only comparison but images of the product tags are shown for informational purposes only. 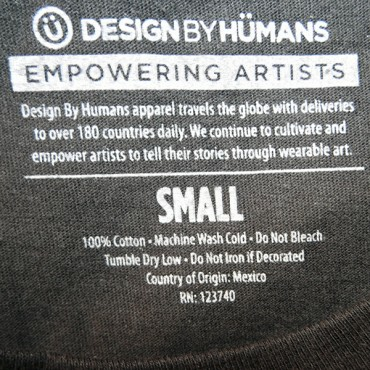 DesignByHumans Now uses the Direct to Garment printing technique only and does not have Screen Printing (they used to and it was glorious). While their tees are above the industry average for DTG quality they do not surpass all of their DTG competitors. 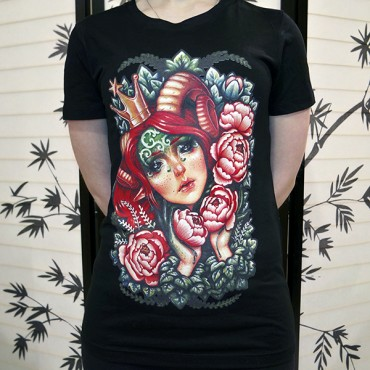 Most of the time you can usually find the same pop culture designs elsewhere such as NeatoShop, but they do have artsy tees as well that may not be available anywhere else. NeatoShop does not have Screen Printed shirts as they specialize in Direct To Garment printing only. 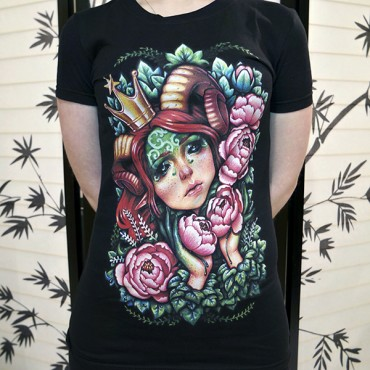 Their DTG printed T-shirts are the best in the Print On Demand industry to date that I have personally seen. 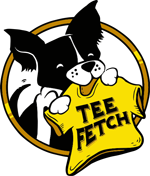 Most of the designs that you see on the Limited Edition Shirt-of-the-Day type sites (featured on the TeeFetch homepage) can be found at these sites eventually as well as at other Print On Demand services not shown in this comparison. 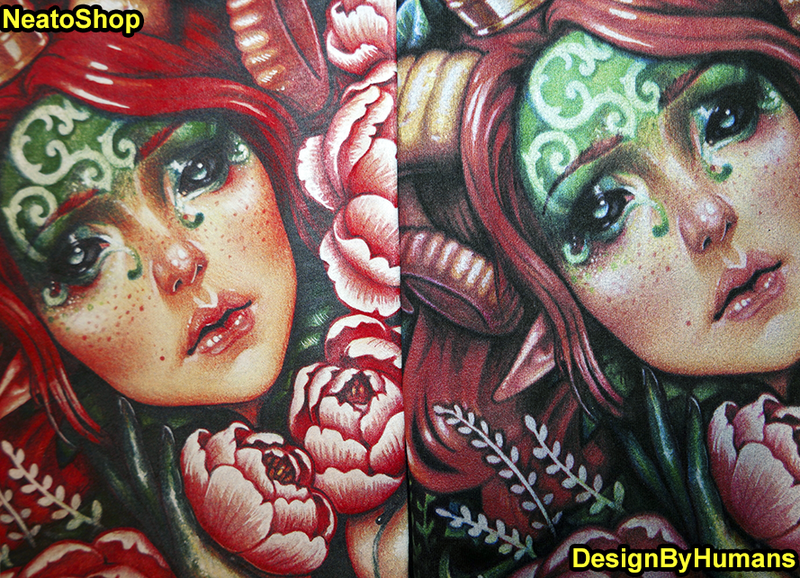 This is a side by side DesignByHumans Vs Neatoshop DTG print quality comparison of the same design from these two brands. DesignByHumans printed the design a little larger than NeatoShop. NeatoShop wins for ink coverage. Both brands have about the same ink thickness. 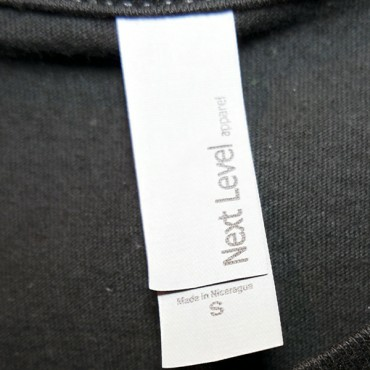 This means that ultimately NeatoShop's print should last longer if washed and dried properly. The Reds and Flesh tones (the character in general) look better on NeatoShop's version. Though the Pink(ish) Flowers are Redder on NeatoShop's sample compared to what is shown in the design thumbnail. 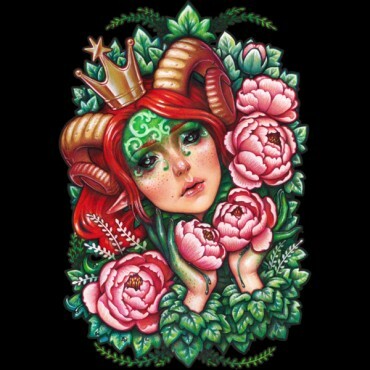 The Greens and Blues (the plant parts in general) look better on the DesignByHumans' version, although where there should be more Green it appears Black instead giving it more contrast, which makes the plant parts stick out more rather than blend. Looking at the thumbnails you will see that these are indeed dark Greens and not Black, so points go to NeatoShop for this detail accuracy. Total polar opposites for these companies. So for the Colors it really is a tough choice. For NeatoShop, The Face and Hair colors are vivid and bold which match the design thumbnails. The DesignByHumans' sample is a little muted in comparison to their own thumbnails. Since the character is the main focus of the tee, for Thumbnail accuracy, the points go to NeatoShop. Which is what it always ultimately comes down to, giving the consumer an accurate representation of what to expect for their money. Both brands have Black tees to work with here so the differences are due to the brand of Printers, the Printing Technique & Skill and the Inks themselves. 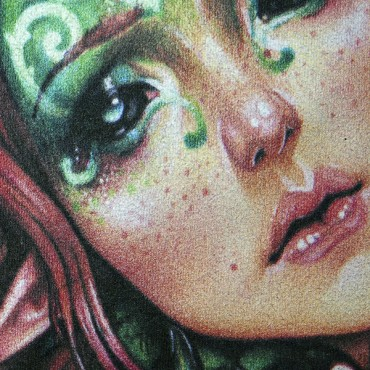 This is the best print for the samples that I have gotten so far from DesignByHumans. Their stuff is always muted in comparison to their thumbnails. I usually rate their stuff 4.5 stars. I'd rate this a 4.5 as well since the ink coverage isn't as concentrated as on NeatoShop's version (see the Hair in the Close Ups). Neatoshop is always consistent with their DTG printing & quality control, as a result so far I've always rated their printing 5 out of 5 stars. Their prints are never muted compared to their thumbnails. This is no exception. Their Reds printed better. 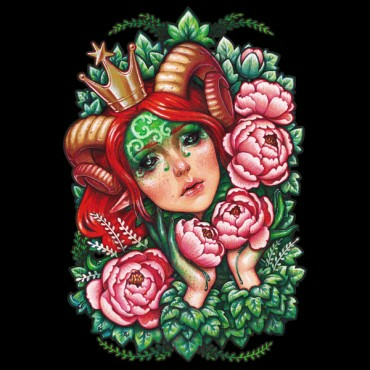 As stated this tee will outlast the DesignByHuman version due to higher ink concentration. Product durability and thumbnail likeness weighs in on their favor as the deciding factors in this comparison. Overall, both tees from both brands would be fine and not result in any kind of buyer's remorse. I rate DTG on its own merits and I do not compare it to Screen Printing which is also based on its own merits. Both printing methods have their pros and cons. This has been a DTG vs DTG Brand Vs Brand print quality review.